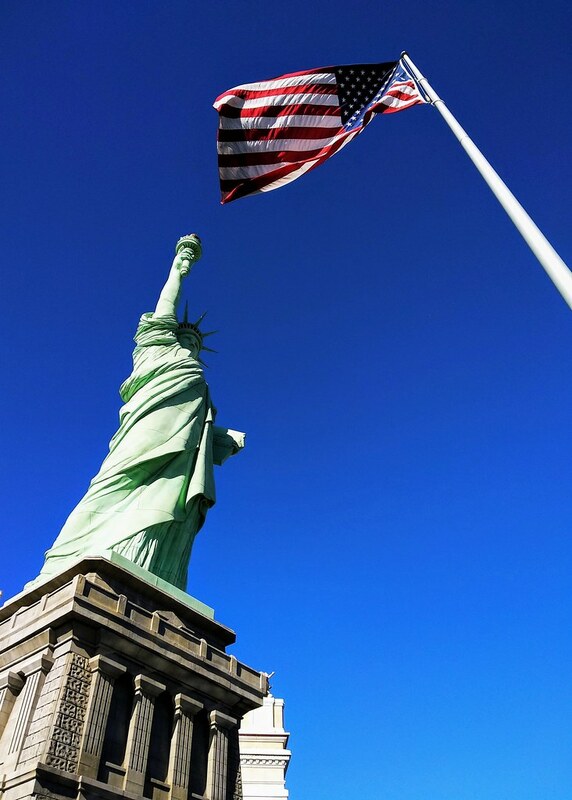 Statue of Liberty is among the classic monuments of New York – and is also a world-famous monument. 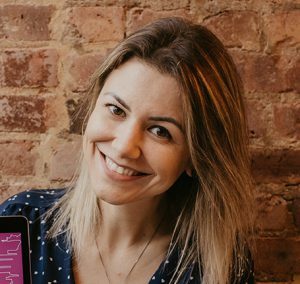 It’s that kind of thing that’s on the list of 99% of people visiting the Big Apple – by the way, I’ve already written a post with 10 places to check out if you are a first-time visitor, click here to check it out! Although I have mentioned in several posts some ways to see this monument, I had never done an exclusive post on the subject. So, as I see that this subject still raises some doubts – about which one is the official tour and other issues – I decided to write this post to make the subject very clear and explained. ATTENTION: In this post, I will list the paid tours, which consequently provide the best view of the Statue of Liberty. If your idea is to save money, click here and check out my post on the four ways to see the Statue of Liberty spending nothing or too little. 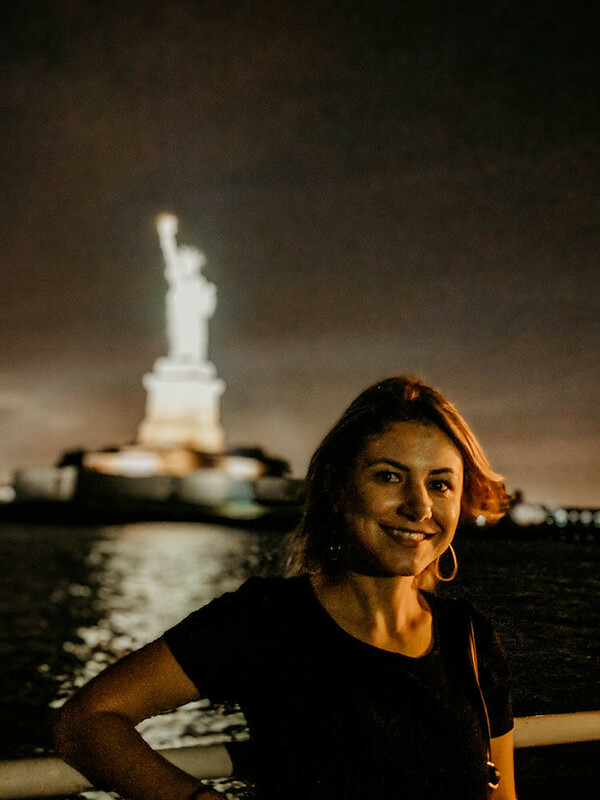 Statue Cruises is the official company that goes from Battery Park (Manhattan) to Liberty Island, where the Statue of Liberty is located. This is the official tour – and the only one that lands on the island. You can buy your ticket by clicking here or also at Battery Park. If you want to buy at the park, be prepared for queues. There is a separate queue for those who have already bought the ticket. Also, ignore any approach from guys in the area. Head straight to Castle Clinton, which is in Battery Park. It is the only authorized place to buy tickets for the Statue of Liberty. 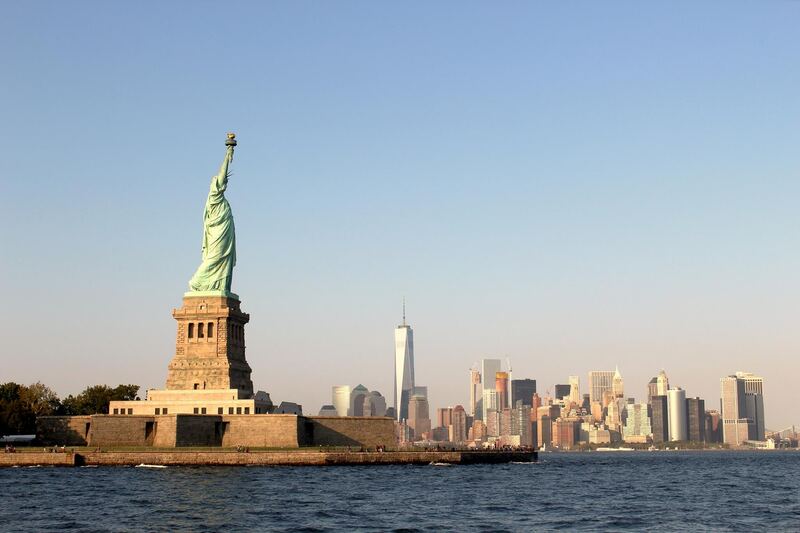 The ticket you purchase for the Statue of Liberty also entitles you to go to Ellis Island, an island off Liberty Island, where the Immigration Museum is located – the ferry stops there. Tickets: There are three types of tickets – access to the island, access to the pedestal and access to the crown. If your idea is to climb on the pedestal or crown, plan ahead. Tickets to the crown usually run out months in advance as few tickets are available per day. Price: from $18 to $21. Kids under 4 don’t need a ticket. Plan ahead: the first boats (8h30, 8h45, and 9h) have the shortest waiting times. Click here and check the times. In addition, there is an X-ray before boarding. People usually spend three to four hours on this tour. It is recommended to arrive 30 minutes before the time determined on your ticket. ATTENTION: The Statue of Liberty is open EVERY DAY, except on December 25th. 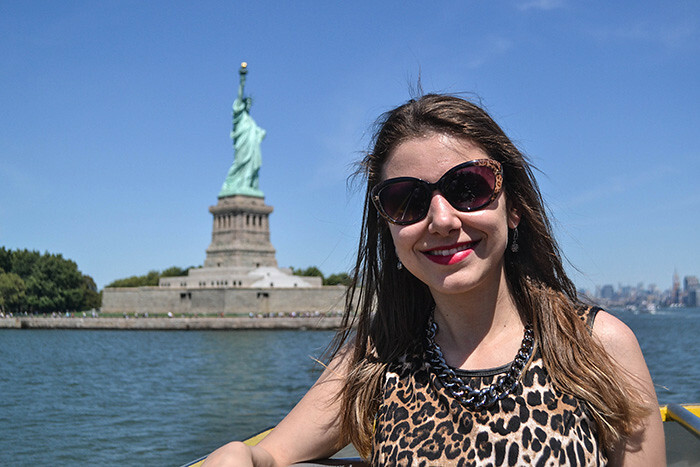 Water Taxi / For those who do not want to go to Liberty Island, but want to see the Statue up close – and still take a tour around southern Manhattan. Water Taxi is a boat tour whose itinerary includes a stop near the Statue of Liberty – at a distance that for me is perfect in every way, both to enjoy it and to take cool pictures. The boat stands for a few minutes, well positioned for you to enjoy the monument and take pictures. The total journey lasts 70 minutes, passing, among other places, the Brooklyn Bridge and the southern part of Manhattan. All narrated by a guide. The Water Taxi has 4 piers and you can choose to take the full tour, non-stop, or get off at any of the piers to explore a region and then catch the boat again – Pier 83, Battery Park, South Street Seaport and Dumbo. The boat has an open deck and a covered area. What I recommend is: check the weather forecast – like a tour of this will only be complete with a beautiful day! You can buy the tickets at any of the piers – one of them is at Battery Park, where most of the tour boats depart – or on the internet. Tickets and price – $37 – click here to buy it. Kids under 3 don’t need a ticket. Plan ahead – Water Taxi schedule is from 10 am to 6 pm. Check out. 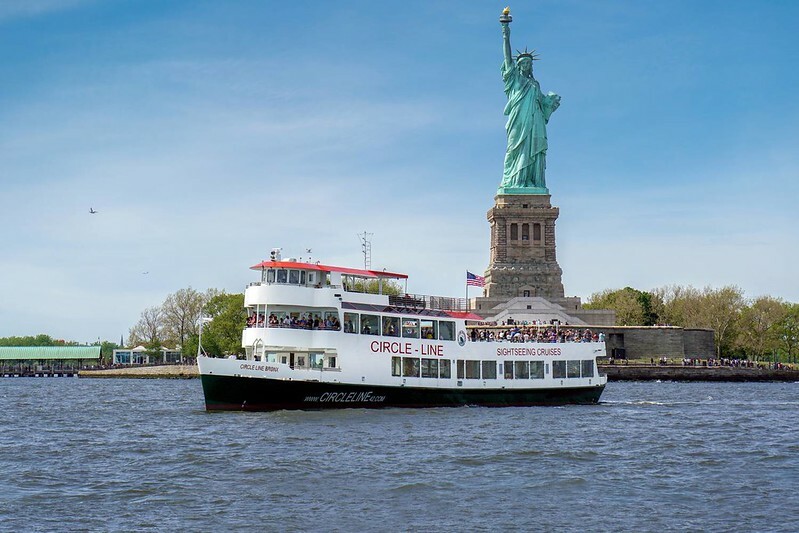 Circle Line – Circle Line Liberty Cruise / For those who do not want to go to Liberty Island, but want to see the Statue up close. It is another option if you want to see Statue from the river. It departs from Pier 83, West Side, down the Hudson River, passing the Chelsea Piers, the towering One World Trade Center and the inspiring High Line Park, before passing the spectacular tip of southern Manhattan and ultimately cruising only a few feet away from the magnificent Statue of Liberty. The difference between this boat and Water Taxi is that Circle Line is bigger and more crowded. Besides that, there is only one Pier to board and it doesn’t go to Dumbo. 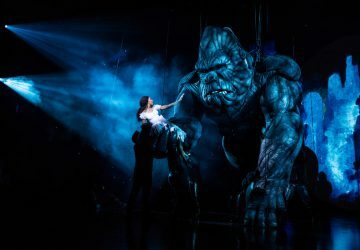 Tickets and price – $31 – click here to buy it. Kids under 3 don’t pay. Plan ahead – Check out departure times. PLUS: Circle Line also offers Statue of Liberty Express, departing from Pier 16, Downtown, and goes to the Statue of Liberty, perfect if you are short on time. It is $18. Hudson’s at Pier 81 / For those who do not want to go down on Liberty Island, but want to see the Statue up close on a distinguished, quiet and unconventional tour. Hudson’s at Pier 81 is a restaurant/bar in a boat – a boat that sails through Hudson River. The boat is huge and it has three environments. The first, downstairs, is a bar/lounge, indoors, with large windows and comfortable seating. Very cozy. Perfect for some drinks and a chat with friends. In the second floor, there is the restaurant area, also indoors, exquisite, with tables near the windows. It is open for dinner and brunch (Sundays only). On the top floor is the deck, an open area with seating space and a bar serving drinks. The boat has restrooms and there is also a DJ playing music. The cruise lasts two hours and the ride gives you breathtaking views. On the left side, you can see the Midtown and Downtown areas, with buildings like the Empire State Building and the Hudson Yards complex. Then, the boat passes the One Wolrd Trade Center. And, of course, the highlight of the tour: the Statue of Liberty. It’s amazing. The captain announces on the speaker when the boat is approaching and Hudson’s come as close to the Statue as other paid tours (Water Taxi and Circle Line). It’s beautiful! The Captain slows the engines for a great look at Lady Liberty for 10 minutes – while you can listen to songs like New York, New York, Frank Sinatra, and Empire State of Mind, Alicia Keys. Brunch (served only on Sundays) is priced at $100 per person – including gratuities and taxes – plus unlimited Mimosas. It’s a buffet, with several choices like salads, bagels, muffins, potatoes, french toast, bread, plus desserts. You can click here to check the brunch menu. Dinner is also priced from $133 per person (plus taxes and tips, a la carte). 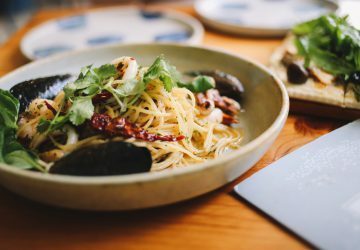 You can click here to check the dinner menu. If your idea is to enjoy brunch or dinner, do not forget to make a reservation. If you chose Package 1 or 2, you can either stay in the Lounge / Bar, which is covered, or on the deck, which is open. You can make your reservation here – is highly recommended to make a reservation if you want to have dinner. Plan ahead – Hudson’s at Pier 81 sails from Tuesday to Sunday, departing at 7 pm for dinner and 12h30pm for brunch. Check out the schedule. Did you like this post? I hope that it helps you to understand the options and to decide!